Images are not available for all phone model cases. It will be shipped according to your order. This Bling Phone Case is made from the highest-quality hard plastic and embedded with Shinny Crystal Rhinestones that will not fall off easily. Each of the openings for the charger, side buttons, speaker, microphone and camera were precisely cut to allow you full access and ease of use. It easily snaps on your phone and it does not add much bulk. 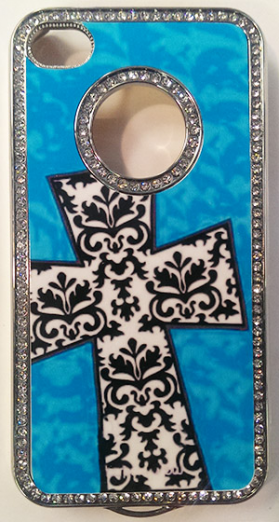 You will be so impressed how stunning it will look on your phone. We recommend to used in combination with the Tempered Glass phone screen for protection. © 1999-2019 Cherished Gifts/kollectorsgifts.com. LLC. All Rights Reserved.